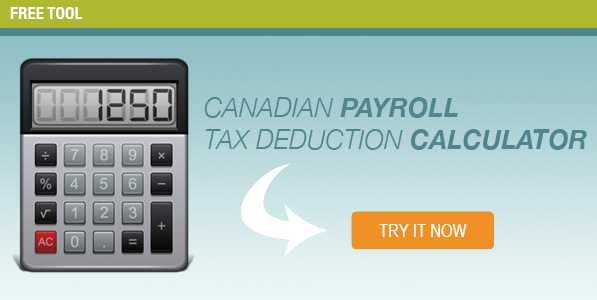 What Is Payroll Tax in Canada? Paying Canadian employees may seem simple, but there’s actually a lot that goes into it. 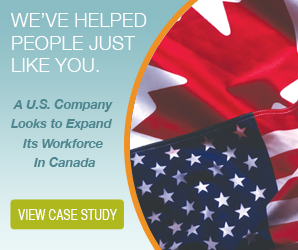 You’ll need in-depth knowledge of payroll tax and deductions, and you’ll need to dedicate a lot of time and energy in ensuring that you’re paying your employees in Canada legally and correctly. Any small error caused by a small miscalculation of payroll tax can end up costing you in fines and penalties. You may also get audited, which is a situation no company wants to deal with. To ensure you’re paying your employees correctly when doing business in Canada, here are some of the basics of Canadian payroll tax deductions that you’ll need to know. When you are employing Canadian workers, you are required to deduct federal and provincial income tax from their pay cheques at every pay period. The amount you’re going to deduct corresponds to the total personal income your employees claim when they fill out the Form TD1. The more income they claim, the higher the taxes. To properly deduct payroll tax, you must keep up to date with changing deduction rates that are in force on the date that you are making payments for the province or territory that you are working in. Each province and territory will have its own set of rates that need to be deducted. To figure out which tax rates you need to be deducting from all of your employees’ pay cheques, you can use the Canada Revenue Agency’s handy tax deduction tables. These tables allow you to manually calculate the amount of tax you need to withhold depending on your pay period range and location. If you don’t want to go through the hassle of manually calculating tax deductions—you’re in luck. You can use an online tax calculator. Simply input your location of business, the income you’re calculating, and your pay period range and let the calculator do all the rest of the work for you. It’s not only fast and convenient, but it’s free to use, too. Be aware that you assume all responsibility for the accuracy of the calculations using this method. If you’re inputting the wrong information, you’re not going to get the right calculations, and that error is going to be your responsibility. In Canada, on top of federal and provincial income tax, you must also deduct CPP and EI contributions for all eligible employees. The Canada Pension Plan and Employment Insurance are federally run programs that provide financial assistance to employees who pay into it. There are exceptions and maximums to these contributions, so ensure that you know the legislature inside and out before you start deducting. You’ll also need to remit the withholdings to the government on set deadlines, which vary depending on your remittance amounts. Each year, your tax deductions will also need to be reported in full to the government in the form of T4 or T4A slips. This will have to be done by the end of February on an annual basis. With the right tools and information, you can process payroll tax deductions on your own, but you don’t have to. If you don’t want to risk making errors due to a lack of expertise or if you just want to take the time-consuming task off your plate, a professional payroll service provider can help. Your provider can take over the responsibility of processing your company’s payroll so you can save money, save time, and always be in compliance. Miscalculating Canadian payroll tax may seem like a minor problem, but it can quickly lead to financial losses in the form of filing penalties. Among your many responsibilities as an employer, it's your job to collect, report, and pay taxes as required by federal and provincial laws. Managing payroll is a job that never really ends, and the calculations are a big reason why payroll can be so time-consuming. Each time you run payroll, you have to calculate Canadian payroll tax, check contribution rates, maximums, CPP contributions, EI premiums, and exemption charts for income taxes. 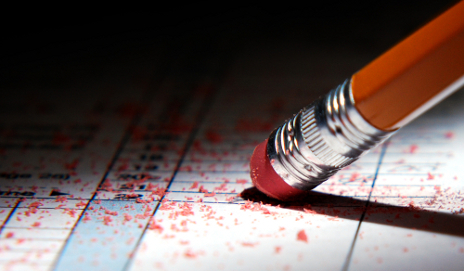 In the storm of all these details, it's easy to make some calculation mistakes. Let's take a look at the task in further detail. 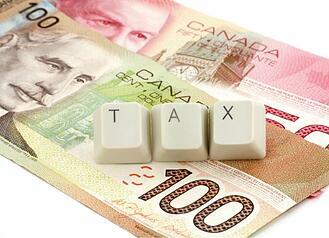 Information you collect from your newly hired employees forms the basis of your Canadian payroll tax calculations. Based on this information, you will calculate benefits and deductions from each employee's pay cheque each pay period. It's important to note, however, that there will be changes along the way. Changes in the law, your employee's wages, or even their family situations can change their deductions, and you'll need to keep up with those changes in order to produce accurate calculations. As an employer, you're not only obligated to collect income tax, but you also handle the collection of other contributions, premiums, and health taxes. If your employees have questions or concerns, or if the rules change (as they do on a regular basis), you'll have to make adjustments to your calculations, often mid-payroll cycle. Therefore, you need to be vigilant in your daily ongoing payroll calculations. As you can see, it's easy to make a mistake when it comes to miscalculating Canadian payroll tax. And once you make a mistake, you're non-compliant. Non-compliance is accompanied by fines and possibly even prosecution. When you're trying to run a business and employ people, the last thing you need is the threat of extra fines as you're trying to pay your workers. If you've faced the above difficulties or if you're trying to avoid facing them in the first place, you might want to consider outsourcing to a payroll service. When you outsource your payroll, you turn these problems over to experts who know all about the fine points of Canadian payroll tax and the accompanying rules and regulations. Delegating these responsibilities leaves you time to do what you do best. You'll save time, reduce stress, and stay comfortably compliant with the CRA. To learn more about outsourcing your payroll service, contact us at The Payroll Edge.